Security Memetics: Someone Could Guess That? Inconceivable! 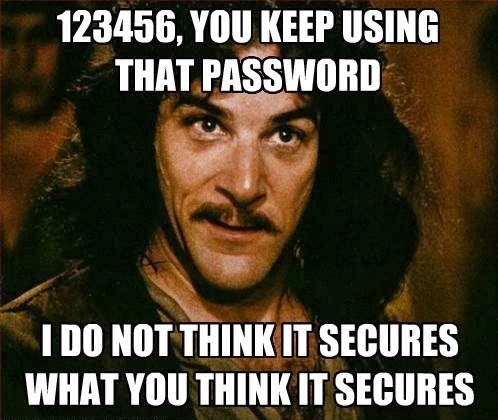 Are you still using that as a password? Stop that! It's the most popular password in the world, which means it's the easiest to guess.